WBCS 2019 Prelims Answer Keys: The West Bengal Public Service Commission (WBPSC) is all set to release the Answer Keys Civil Service (WBCS) Prelims exam soon at pscwbonline.gov.in. Candidates can check the instructions to download the same given here. 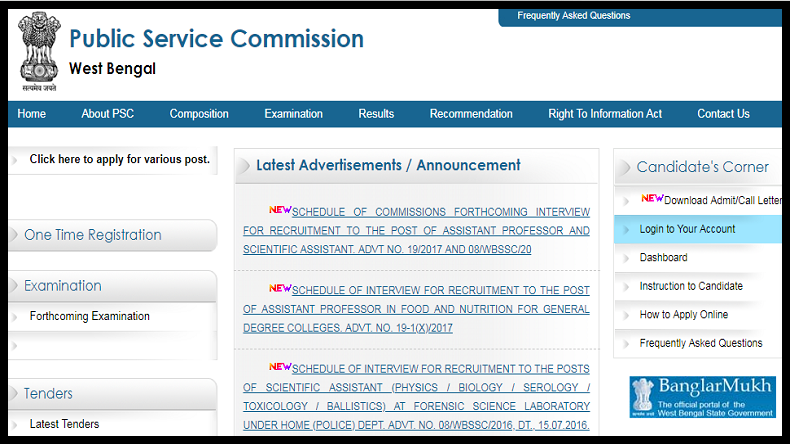 WBCS Prelims Answer Keys 2019: The West Bengal Public Service Commission (WBPSC) is all set to release the Answer Keys of Civil Service (WBCS) Prelims exam on its official website soon, according to reports in a leading daily. The examination was held on February 9, 2019, for the Civil Services aspirants and those who have appeared in the examination are advised to keep an eye on the official website – pscwbonline.gov.in. Also, reports say that the Answer Keys for Group A, B, C and D will release tentatively by March 2019 on the official website. Moreover, the results are expected to be declared in June this year. Candidates who had appeared in the WBCS Preliminary Exam can download the results from the official website after it is published by the Commission. How to download the Answer Keys of the WBCS Prelims 2019?